The St. Louis rapper/singer will be hitting Canopy Club’s stage for this year’s Pygmalion Festival on September 21st! This is a show you don’t want to miss! St. Louis and his second home, Chicago, are only 2-3 hours from Urbana-Champaign. Okay, so what does this have to do with anything? The ‘putting on for your city’ energy just might be there! Smino has been a musically inclined dude for some time now. 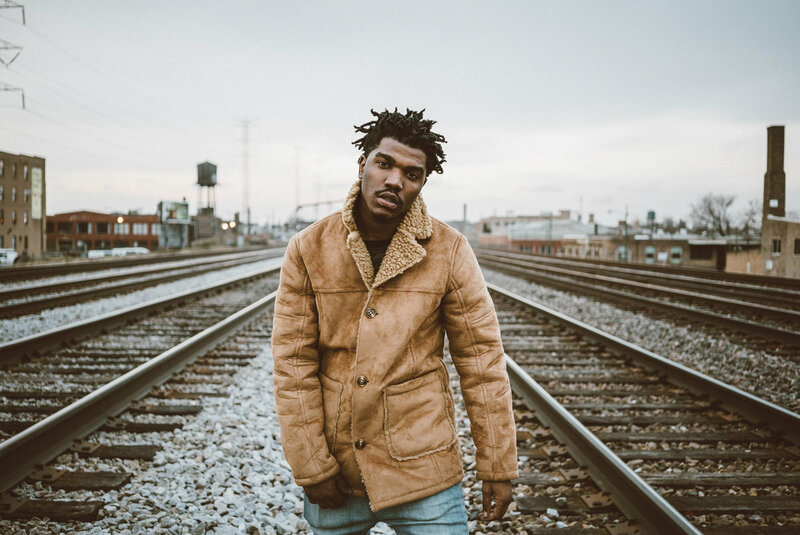 With him and his family being musically active, both inside and outside of their church, Smino has been exposed to an array of genres such as gospel, funk, blues, and jazz. He first began testing the waters of hip-hop, taking part in the St. Louis duo YDOC (“Young Dumb and Outta Control”). Later, he released a solo mixtape, SMEEZY DOT COM. Once he graduated high school and moved to Chicago, he was introduced to the best of the Midwest, the Windy City’s music scene. Back and forth between St. Louis and Chicago, he has created his ‘Zero Fatigue’ crew which consists of producer Monte Booker, rapper Jay2AintShit, and singer Ravyn Lenae. He released his first official EP, S!Ck S!Ck S!Ck, with the Blkjuptr EP quickly following. In March of 2017, blkswn, his biggest and most recent debut album dropped. Smino has the fascinating ability to transition from a soulful vibe to tongue twisting raps at any time. I follow him on Twitter and I swear I laugh at least once a day based off his tweets. If you want to party, he knows how to party. 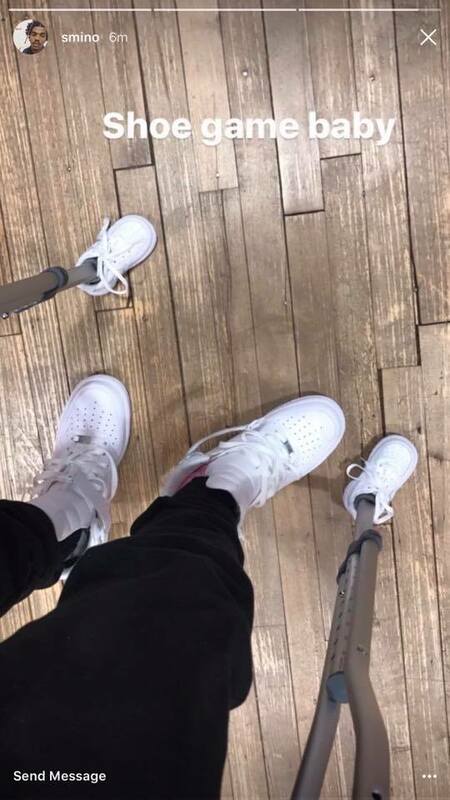 He has had some lit shows while being on crutches… and yes, he bought baby forces for his crutches. LEGENDARY! 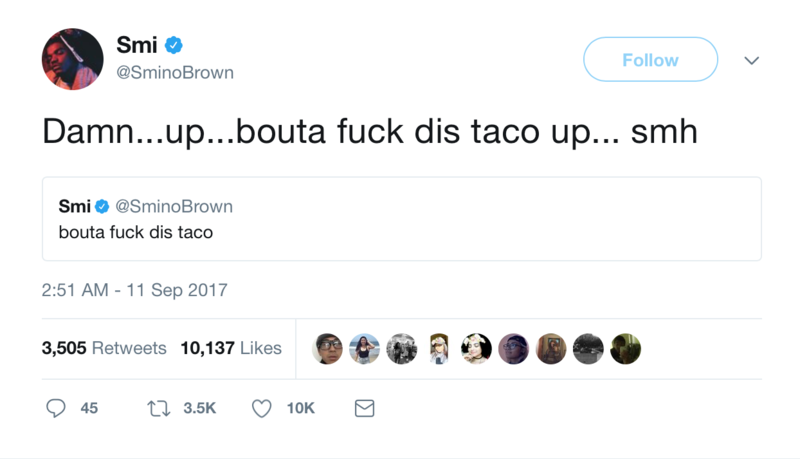 Blkswn isn’t a one-time listen. I guarantee you will have this album on repeat if you don’t already! Come out to see Smino on Thursday, September 21st at the Canopy Club. You can enjoy the futuristic, funkrap sounds of blkswn below.